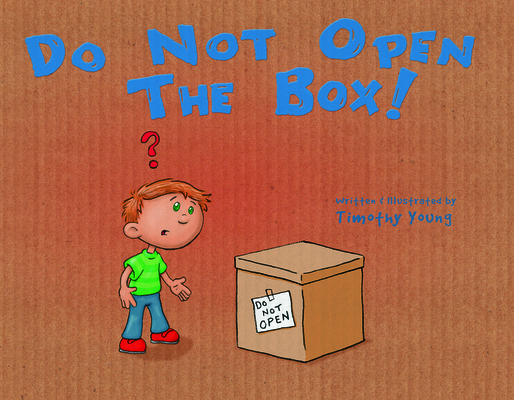 Benny spots a big cardboard box with a note taped to it saying, "Do Not Open." His imagination runs wild, and it's almost too much for a curious boy to bear. He thinks about all of the things, good and bad, that could be inside that box. A birthday robot? A wolverine? An entrance to another world? What should he do? This endearingly illustrated tale of a classic childhood dilemma has a surprise ending and offers a peek into a young boy's mind as he weighs tantalizing possibilities against the risks of breaking the rules. Timothy Young has done design work for Pee-Wee's Playhouse, the Muppets, Disney, the Simpsons, and Universal Studios. He is the author/illustrator of six published picture books including I Hate Picture Books! and The Angry Little Puffin.